Hope you had some fun and relaxing holidays! It is now time to gather again and we want to warmly invite all DOMFIL members to join for an AFTERWORK on the 23rd January (kl. 18) at Yellow Fellow! A voucher for a drink per person will be offered! See you at Strandgatan Två at 18.00! Pizza buffet & Bowling! 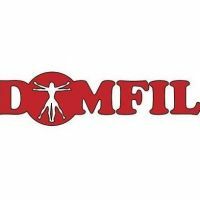 JOIN US AT DOMFIL! DOMFIL invites all PhD students, research preparatory scholarship recipients, research assistants and friends to an evening with pizza buffet and bowling for a great start of the new term!!! We would like to welcome everyone back after summer and to use this opportunity to inform all new PhD students about DOMFIL in a relaxed atmosphere. A Pizza buffet and 1 drink per person will be offered, and the bowling lanes are paid by us as well. To sign up, please complete this form until the 24th of September (evening). Hope to see many of you there. Do not miss any updates by following our Facebook page!